Proper hygiene helps to keep teeth clean, strong and healthy. This includes regular brushing and flossing to prevent cavities, enamel wear, gum disease and other dental issues, while annual dental exams and cleanings will help identify and treat minor issues before they become major health problems. 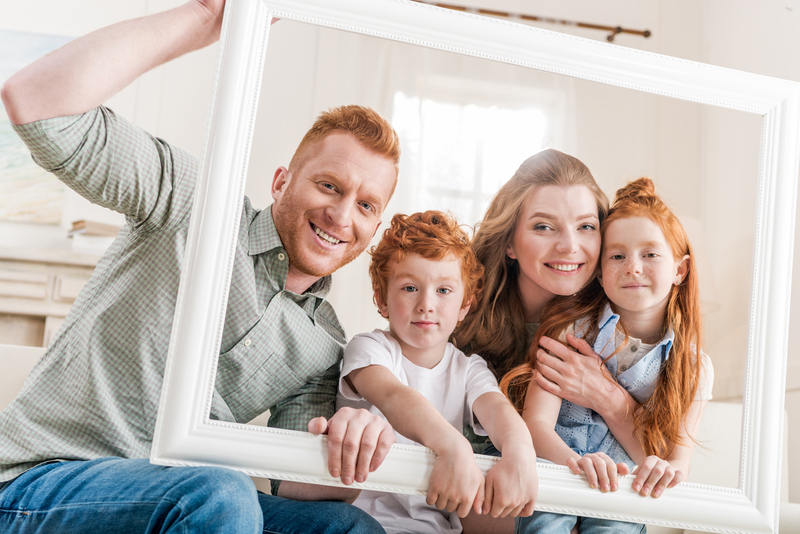 Haslam Family Dental offers a wide array of preventative services to keep you and your family smiling. Regular dental checkups are an essential part of preventative oral health care. During your exam, Dr. Haslam and our team of dental professionals look at your current fillings, veneers or crowns, assess your bite and examine your teeth and gums for damage or disease. We also look at your tongue, throat, cheeks and lips, your jaw joint and muscles, and take x-rays to see the tooth and bone structure below the gum line. During the exam, one of our team members will clean your teeth and check for evidence of gum disease or cavities. We will also check your face, neck and mouth for abnormalities, including an oral cancer screening. Your dental exam will often include x-rays and other diagnostic procedures to help us identify any problems early in their development. When the assessment of your oral health is complete, Dr. Haslam will discuss his findings with you and discuss treatment options. You will have the opportunity to learn about the benefits, risks and costs of each, as well as ask questions. We work hard to ensure that you have all the information you need to make decisions about your long-term dental health. There are times you may have questions about a specific dental concern or want a second opinion about a dental procedure. We are happy to schedule a consultation with you, during which Dr. Haslam will listen to your concerns, answer your questions and provide you with the best information available to help you maintain your dental health. One of the primary purposes for cleaning teeth is to prevent or treat gum disease, thereby reducing tenderness and inflammation. The goal is the break up and remove plaque and bacteria that create a film on teeth without causing damage to the roots. An alternative to manual instruments, ultrasound vibration crushes and removes calculus from teeth while turbulence and water flush root surfaces and the pockets around teeth. What does that mean to you? Your teeth get super clean, super fast with little or no scraping. X-rays are an important part of regular dental care, as they help us to discover problems that many not be visible to the naked eye. Thanks to digital technology, our x-rays are fast, comfortable and use up to 90 percent less radiation per exposure. The images created are higher quality and easier for the dentist to read, which means better diagnoses and care for you. A dental sealant is a liquid plastic material painted onto the chewing surfaces of back teeth with a brush. The liquid bonds to tooth enamel and hardens to form a protective barrier. Back teeth are where decay occurs most often, so it makes sense to seal out food particles and bacteria to prevent cavities. While adults can benefit from sealants, they are especially helpful for children and teens. Sealants are simple to apply, require no anesthesia and can be expected to last for a number of years. Fluoride treatments can help to prevent tooth decay by making the tooth more resistant to damage from plaque bacteria and sugars. It is critical for children between the ages of 6 months and 16 years to have plenty of fluoride as permanent teeth are developing and surfacing; however, adults benefit from it too. In fact, fluoride can even help to reverse decay early on in both children and adults. We provide professional fluoride treatments in just a few minutes using a paint-on gel form that dries quickly and remains on the teeth for up to 6 hours. The frequency of fluoride treatments depends on your oral health status and can range from once every 3 months to once every 12 months. Contact Dr. Haslam for a personal recommendation. Oral cancer happens when malignant cells appear in the mouth, on the lips or in the throat. Oral screenings are a valuable service that we offer as part of your dental exam to identify these cancerous cells even before you experience any symptoms. When found early, cancer is easier to treat. Certain behaviors, like smoking or chewing tobacco, make a person more likely to develop oral cancer; however, there is no sure way to avoid it. In any case, if you have a sore in your mouth, on your tongue or in your throat that does not heal on its own within 14 days, visit Dr. Haslam or see a doctor immediately. Many of us clench or grind our teeth while we sleep, which causes the teeth to wear away. We can address this problem by propping the teeth slightly apart with a removable appliance or splint. A night guard is worn only while sleeping; however, a TMJ splint can be prescribed for wear 24 hours per day. This acrylic plate is custom designed to fit over the biting surface of your teeth and is used to protect the teeth and jaw from damage due to grinding teeth or muscle spasm.